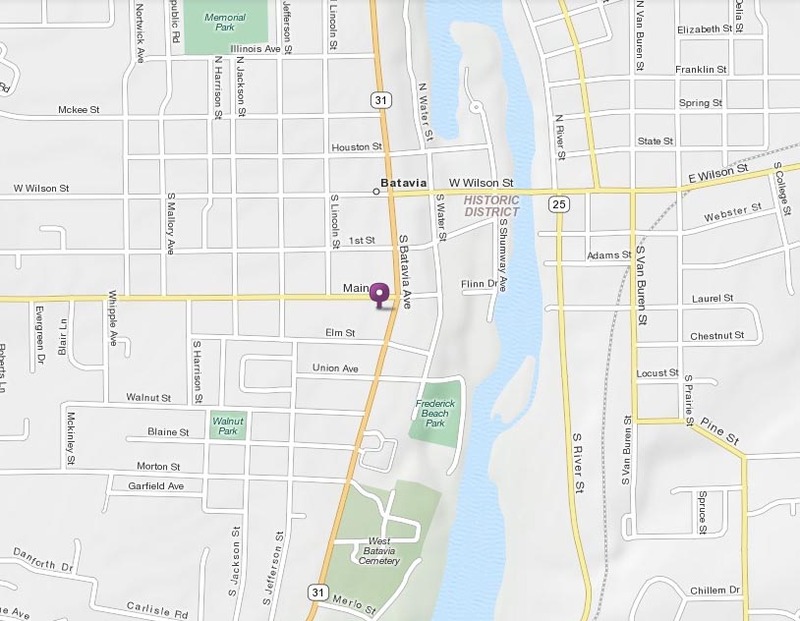 Moss Family Funeral Home is located 3.5 miles north of I-88 on the corner of Illinois Route 31 and Main Street in Downtown Batavia (Batavia Ave. is the same as Illinois Route 31) Batavia, IL. Moss-Norris Funeral Home is located one block south of Rt. 64 (North Ave./Main St.), and one block west of Rt. 31 (Second St.). 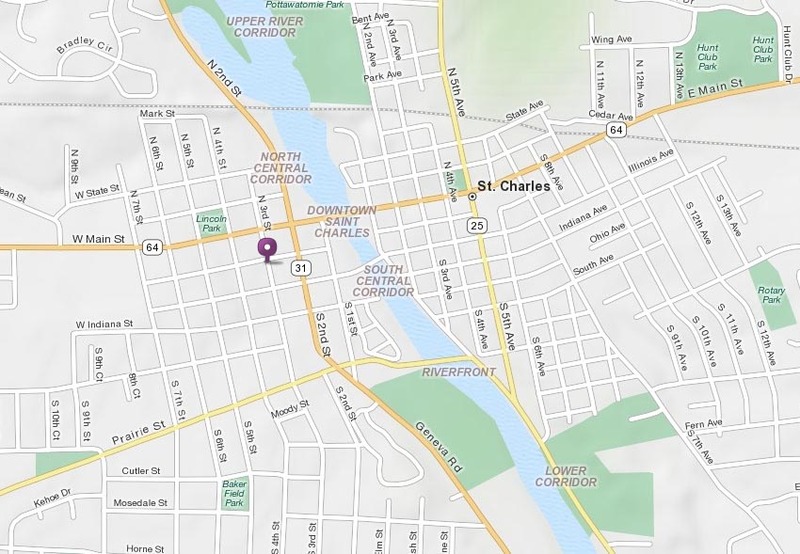 Located on the west side of the Fox River, in historic downtown St. Charles, IL.